Alfreda Jean Attrill was born in Minden, Ontario on July 31, 1877, but grew up near Dauphin, Manitoba. She began teaching in Northern Manitoba in 1898, but decided to enter the Winnipeg General Hospital School of Nursing programme in 1906. She graduated in 1909 and remained at the hospital until 1914. On August 5, 1914, she enlisted to serve overseas, the first Winnipeg nurse to do so, with the Nursing Sisters of Manitoba. At the conclusion of the war, she was awarded the Royal Red Cross Medal. 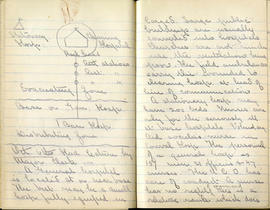 When she returned to Canada in 1919, she began her work with Winnipeg's Department of Public Health. Alfreda was also heavily involved in the St. John Ambulance Association beginning in 1911. In 1924 she became the Superintendent of the Fort Garry Division. She served as a Serving Sister of St. John from 1933 to 1936. She was proclaimed a Dame of Grace of the St. John Ambulance Association in 1966. One year later, the Association named her a Dame of Justice. Alfreda Attrill passed away on October 14, 1970. The records of Alfreda J. Attrill came to the Archives/Museum of the Winnipeg General Hospital/Health Sciences Centre Nurses Alumnae Association as part of a transfer of records from Sandra Moulton on September 24, 2003; H. Enyd Forrest in November 1990; G. Chapman in 1970; from the Estate of Alfreda Attrill; and from Margaret Steele in 2010. 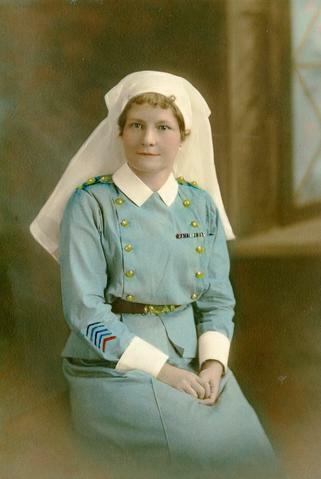 The collection reflects Alfreda Jean Attrill’s education, nursing career, war service, her affiliation with the St. John’s Ambulance Association, and her genealogy. The series is arranged into nine series and covers events from her early life to her death through awards, certificates, memoirs, family histories, correspondence, articles, programs, diaries, invitations, publications and prayers. See also her biographical file and the Graduation Class of 1909 file for other information pertaining to Alfreda J. Attrill. Artifacts are described separately from archival records and are accompanied by photographs. An army foot locker belonging to Alfreda Attrill is housed in the Neepawa Museum.